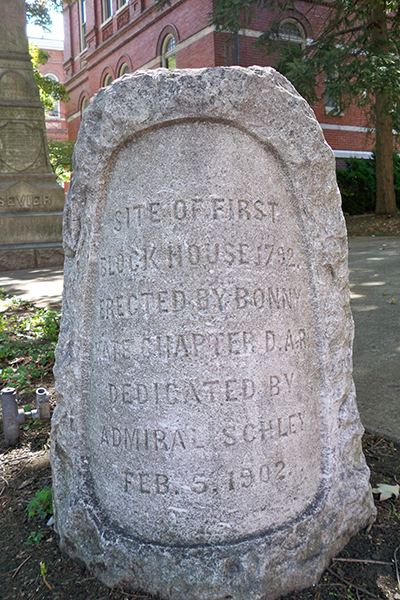 This monument depicts the first block house in Knoxville in 1792. The site was dedicated by Admiral Schley on February 5, 1902. The monument was erected by Bonny Kate Chapter D.A.R. The monument is located on the lawn of the Old Knoxville Courthouse at 300 Main Ave, Knoxville, TN 37902.